If you live near Lexington, Kentucky, you really need to make a point to take your kiddos to Gattitown for a great day of family fun! Gattitown is one of my family's very favorite places, and we visit there quite often! In fact, my boys had their birthday party there two years ago! We don't spend a whole lot of time at Gattitown during the warmer months, but as the weather gets colder, it is one of our favorite places to visit! When the weather outside is frightful, Gattitown is warm and cozy and has everything you need! Gattitown is a 30,000 square foot family entertainment center with over 150 video/redemption games, bumper cars and movies. Enjoy our safe non-smoking, non-drinking family atmoshpere. Along with great food and games, Gattitown offers an excellent place to host your birthday party, field trip, meetings and more! Gattitown is located on Nicholasville Road, right off of New Circle, so it is convenient to get to, no matter where you are coming from! We live two counties away, and we can make it to Gattitown in about 30 minutes! There is SO much fun to be had at Gattitown! You can fill up on great pasta, pizza, salad, and dessert from the buffet, and you can do it while you watch a great family movie, or catch up on sports! After you let your food settle, it's time to head to the arcade where you can play to your heart's content! There are also bumper cars, an inflatable, a beautiful carousel and more, really something for everyone! We LOVE Gattitown! Don't forget to earn as many tickets as you can, so you can redeem them for an awesome prize! Gattitown has MUCH better prizes than similar arcades- last time, my boys were both able to earn enough tickets for an actual DECENT prize, not a piece of junk that would fall apart in two seconds like some other arcades! Okay, I'm sure you're now itching to take your kiddos to Gattitown for some family fun, and that's no problem! We've got a great deal for you! Flip Out Mama readers can take advantage of a GREAT deal! 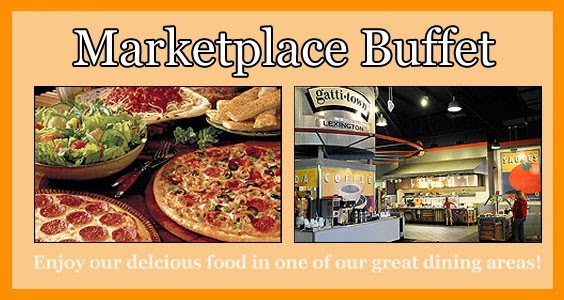 For only $39.99, you can get TWO ADULT BUFFETS, TWO KIDS BUFFETS, AND A $20 GAME CARD!! How's that for a great deal!??! Just CLICK HERE to get this amazing deal! You can use this coupon til February 2014, so that's plenty of time for you to enjoy some great family fun! We just might see you there!! !